Our attorneys handle many real estate transactions on behalf of our clients each year. Most clients selling their houses, cooperative or condominium units use the services of a licensed real estate agent. Other sellers chose to sell without the use of such a professional. These transactions are known as for sale by owner (“FSBO”). While we interact with real estate agents on a regular basis, it is not the purpose of this blog post to argue for the use of a real estate agent in your transaction. Our purpose is to distinguish the nature of our legal representation in transactions with and without real estate agents. The sales price matters to the seller, but has no bearing on our legal work. The preparation of the contract will just involve the insertion of the agreed offer price. However, if a seller retains the services of an experienced real estate agent, he will potentially avoid two situations regarding the price. First, a seller may list the property at too high a price, which would impede viable offers being made. The real estate agent will know the market and be aware of the realistic price at which the property is to be offered. Second, the real estate agent may also ensure that the property is not offered at a price that is lower than the seller should receive in this market. Sellers do not want to experience the delay of their transaction due to a property or title defect that could have been resolved. For instance, it is not unusual for a seasoned real estate agent to view the applicable municipal records to confirm that all improvements have been properly permitted and that a Certificate of Occupancy has been issued for the premises. Of course, there is nothing to prevent the homeowner for conducting such a search. Whether the real estate agent or the homeowner conducts such a search is immaterial. However, it is important to be aware as early in the process as to whether such issues exist, so that they are resolved to allow for the timely closing anticipated by the parties. 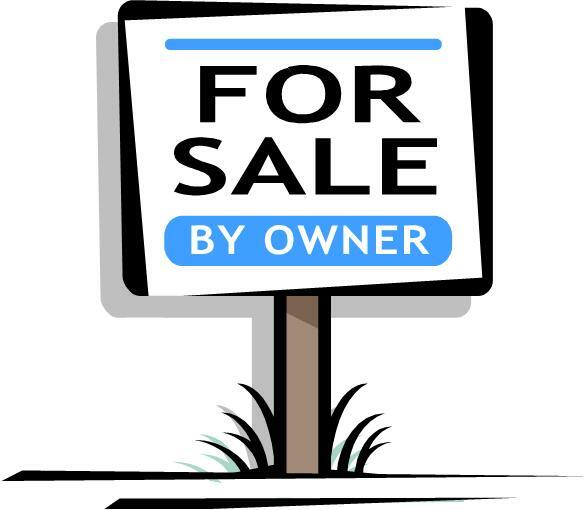 It also behooves the seller in a FSBO transaction to conduct a tax search, as a real estate agent may do. The focus of the tax inquiry is to confirm that the property is not taxed at a significantly higher rate than comparable properties. If the taxes are higher than comparable properties, the seller should start a tax certiorari proceeding in an effort to demonstrate to purchasers that there is an effort being made to reduce the taxes should they object to the amount. Once the parties agree on the sales price, the information delivered to our attorneys for the preparation of the contract may vary substantially. The real estate agents typically prepare a completed deal sheet that allows for the accurate preparation of the contract of sale by our attorneys. Sellers may not have all of the information that our attorneys usually require to prepare the contract. In such a case, our attorneys will distill the details required from our selling client. We may even need to conduct our own due diligence about your cooperative or condominium by contacting the managing agent or building attorney to obtain the necessary information about the building as needed for inclusion in the contract. If involved early enough in the process, we will discourage our selling clients from preparing their own documents to be signed by the buyer, accepting a deposit or binder payment or other acts that are not standard in New York transactions. That way, the buyer’s attorney will experience a transaction that is as typically conducted. When a cooperative or condominium apartment is sold, an application needs to be submitted to the building. In a cooperative, board approval is sought. In a condominium, the waiver of first refusal and other documents are requested in the application. At this stage, the efforts of an experienced real estate agent stand out. The real estate agents often collect the applicable application and work with the parties to collect the documents that support the application and submit same in a timely fashion. In addition, it is not unusual for a real estate agent to make the applications cosmetically attractive, to enhance their professional image and encourage their approval. A seller could complete this process herself, but may could lack the knowledge and experience that a real estate agent has. We conduct all types of transactions, for houses, cooperative and condominium units , whether the seller is using the services of a real estate agent or not. In either case, we coordinate our efforts with the seller and/or real estate agent in order to complete the closing promptly.